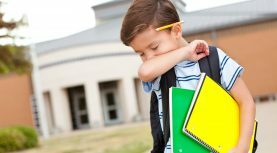 Back to school season is here and along with the preparation it involves, like shopping for clothes, supplies and getting back into a routine, comes the potential of acquiring head lice during the school year. August and September and sometimes after winter-break are the busiest months for head lice. See how you can treat lice effectively.